Whew, I’m much better now! LOL..I am already behind! But I will catch up. Hi Lola! I will be joining in later today. Cannot wait! I am so excited about this bag… I am also behind as I was not at home all day long on Saturday. But guess what I will be doing tonight after FHE ? Also I HAVE had a couple of people ask me about my “wonderful” church bag. How they can get one and how much it will cost them. Let me Know. This is driving me insane! !I cant stand not knowing what it looks like. Mwah hah haaaaaaa! It’s all part of my Mysterious plan…. 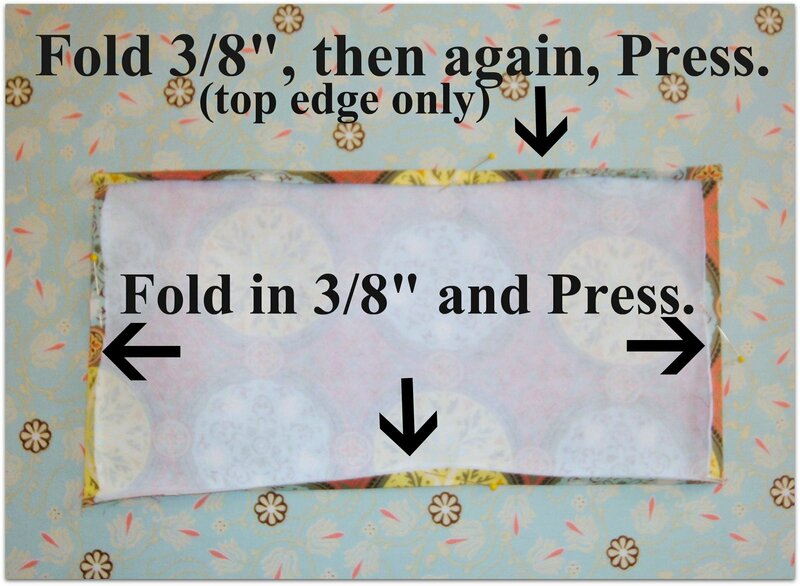 I had one minor setback… I mistakenly ironed the interfacing onto the outer fabric on Saturday. Oops. I ripped it off all 6 pieces (both piece As and the cut out parts of piece A)and ironed it onto the lining. I think I have everything right now :-).